Grow Tents can be situated anywhere and are an excellent way of producing a micro climate to grow produce. 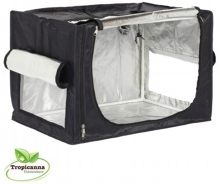 The grow tents we sell at Tropicanna Horticulture are user friendly, easily assembled and disassembled in just a few minutes. 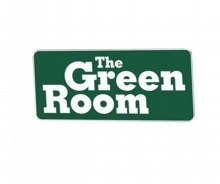 The Green Room tent is a fantastic grow tent. We recommend this tent as the strongest on the market. It does have extremely close rivals such as the Green Qube and Roof Qube, which are equally of high quality tents at competitive prices. We supply Gorilla tents which is an all-round good tent at the middle/lower end of the scale but still offering superb reliability and safe, easy to use quality. If you are currently in search of a grow tent but are unsure which is the best one for will fit the growers individual needs and requirements, do not hesitate to give us a call on 01332 348787. A friendly member of our team will be able to assist you in selecting the correct tent.